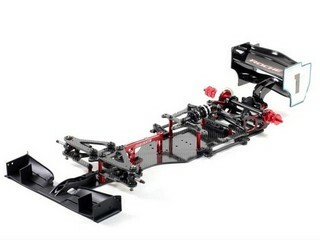 - New design graphite main chassis, lower pod plate, rear pod plate, front lower arm, caster adjust plate, center top plate, chassis brace, upper pod plate. 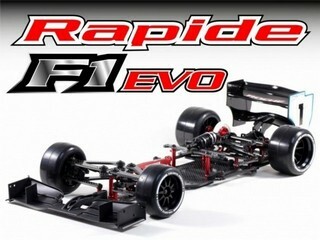 - New design narrow chassis to improve steering response. 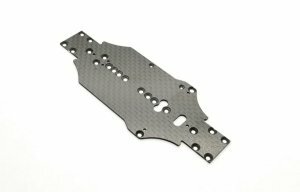 - New design 7075 aluminum front bulkhead / servo mount. 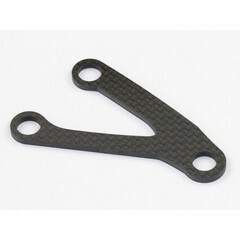 - New design steering arm mount, ackerman adjustable. 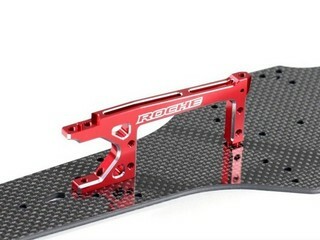 - New aluminum standoff for front lower arm. 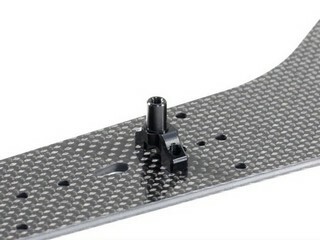 - New design camber adjustment, five difference camber angle selectable. - New 7075 aluminum turnbuckle, black anodize. - New design motor mount and rear bulkhead. Red/Black two tones anodize. 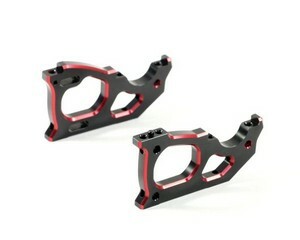 - New design o-ring type battery mounting chassis brace. 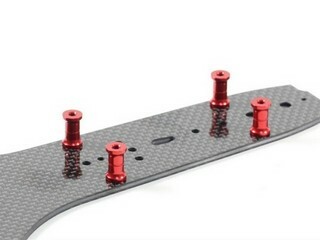 - New design center top plate. Five damper positions selectable. 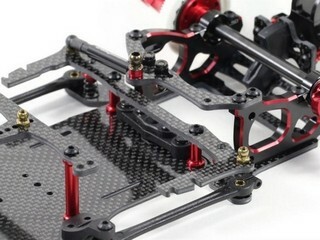 - New design graphite upper pod plate and chassis brace, difference angle and position for side tube adjustable. 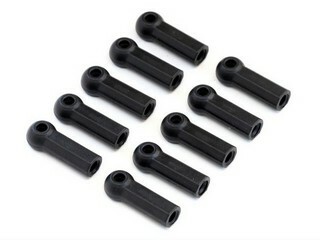 - New design aluminum 4.3mm ballstud for side tube. 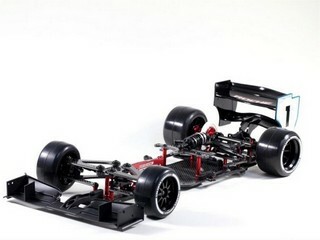 Improved chassis rotate angle. 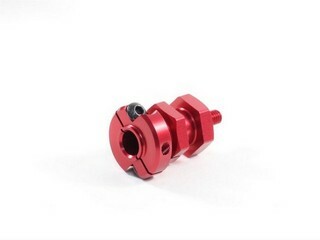 - New design dual screws clamp lock type wheel hub. 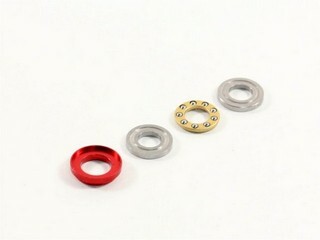 - New thrust bearing and washer. 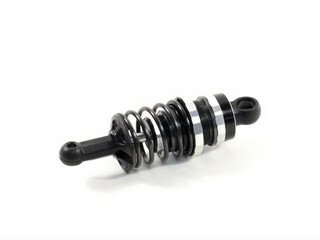 - New long center damper and aluminum shock ball. - 2.5mm USA high grade graphite materials. 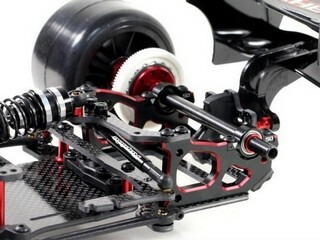 - Narrow design carbon main chassis and side link mount, reduce chassis scrubbing in high speed corners. 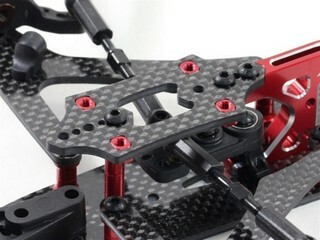 - 2.5mm USA high grade stiff graphite upper and lower suspension arms. 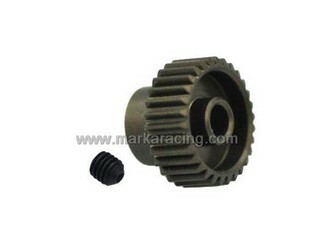 - Caster adjustable : 3.0/6.0/9.0/12.0 deg. 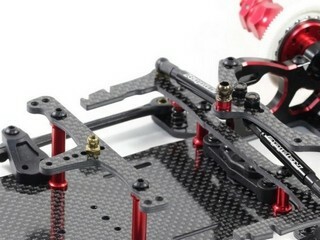 - Chassis flex adjustable by 7075 aluminum floating/non-floating servo mount. 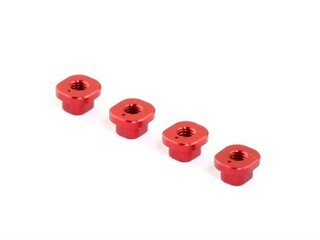 - Low friction coating aluminum pivot balls and ball studs. 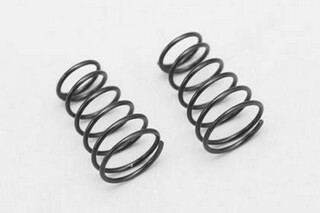 - Big bore short center damper and 20mm short spring. - Rear wing position quick adjustment. 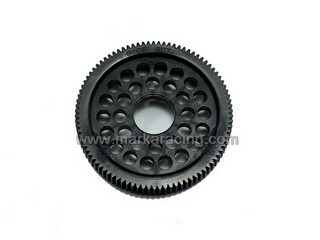 - High precision ball differential with 5mm thrust ball bearing as more smooth and reliable. 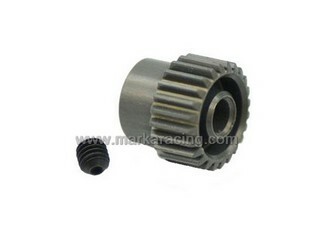 - Clamp type aluminum left wheel rear adaptor. 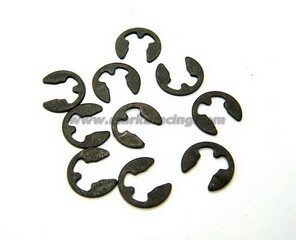 - Weight reduced steel main shaft.